It’s been a long five months for 2021 The Bishop’s School (Calif.) quarterback Tyler Buchner‍ as he rehabs from tearing his ACL in the first game of 2018. The injury was a non-contact injury on a fake punt on the fourth play of the game, but the 6-foot-2, 200-pounder is well ahead of schedule as he’s running and throwing. Speed and using his legs are significant for Buchner, who played quarterback and receiver as a freshman, so being able to run again was a critical step reach. As he continues to progress in his rehab, Buchner has started to get his friends together to throw a few times each week to prepare for his junior season. 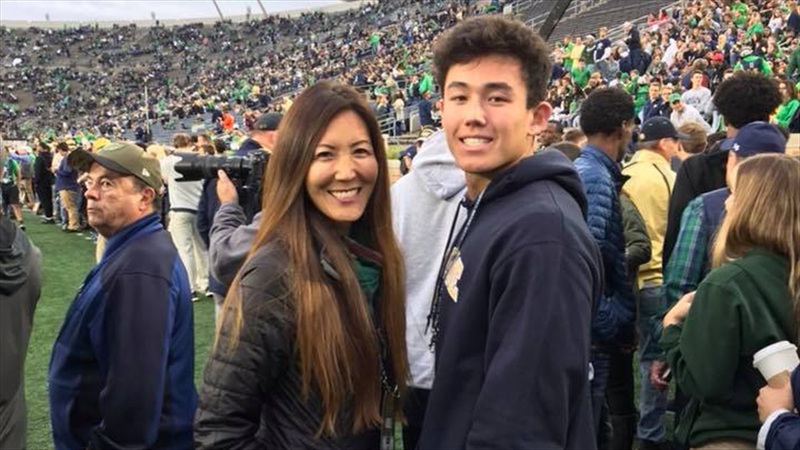 When it comes to recruiting, Notre Dame has made Buchner a priority and includes quarterbacks coach Tom Rees making a trip to stop by his high school. The Irish watched Buchner throw live at Notre Dame’s Elite Skills Camp in June and quickly offered following the camp. In fact, Buchner is at the top of the board in 2021 and it apparently means a lot to him as he knows there isn’t a ton of film to put out. Rees has not only made Buchner a top priority but the two have developed a close relationship. “I call Coach Rees once in a while since he offered me last summer,” stated Buchner. “We talk here and there. I keep him up to date on my physical therapy and let him know about what I’m doing. He keeps updated on Notre Dame football, so it’s good. Michigan, UCLA and USC have also dropped by The Bishop’s School to check on Buchner in recent weeks, but Buchner has visits set up for two similar programs.